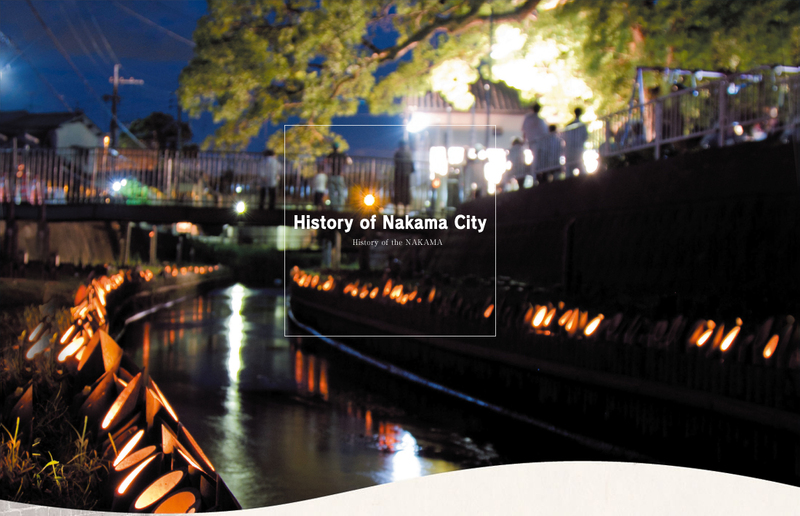 Nakama City is located in the fertile Onga Plains, and rice crops have flourished here since ancient times. Many artefacts and relics have been unearthed which tell of the area’s farming culture, including Onga River earthenware which was an index reflecting the farming culture of the Yayoi Period. In addition, during the end of the Kofun Period (end of 5th century to the latter part of the 6th century), several groups of horizontal burial caves were carved into the rock in the vicinity of Habu Hill inside the present-day Habu Park. These have been named Habu Rakan Hyakketsu Tombs and have been designated Important Cultural Properties by the prefecture. It is written in ancient records that during the Muromachi Period, the Aso clan (whose base was the present day Ashiyamachi-Yamaga, and who held the territories occupied by Nakama City, No-ogata City, and other areas) and the Munakata clan (whose base was the present day Munakata City, and control extended to the western part of Onga River) were in conflict and fought many battles, but without a decisive one. The entire region was divided into two: the area to the west of the river became the domain of the Munakata clan, while the land to the east of the river was for the Aso clan. In the Edo Period, it all became the territory of the Fukuoka domain. To prevent the frequent flooding of the Onga River, repair work on the Onga River embankment and dredging of the Hori River began. Coal discovered in the area became an important source of energy for the country during the Meiji Period to the beginning of the Showa Period. Nakama became a coal mining town, and the Chikuho Coal Field played an important part in the development of the region. Transporting the coal at that time was first done using river boats known as “kawahirata” which plied the waters of the Onga and Hori Rivers. However, when the Chikuho Honsen Line was opened in 1891, and the Katsuki Line in 1912, the railroads took over transporting large quantities of coal, and the “kawahirata” gradually disappeared. The population continued to increase and reached 4,800 at the end of the Meiji Period and grew to 46,000 by 1959. The coal industry in the Chikuho region reached its peak during the Meiji Period, and as a consequence, Nakama City developed rapidly. However, the industry fell gradually into decline due to the Energy Revolution at the end of the war. The coal mines in Nakama City shut down one after the other. Today, there are only a few remnants of coal and coal mines remaining.